What's the difference between an open house at your child's school and parent-teacher conferences? Both will probably require you taking time off from work and sitting in very small chairs. But these two back-to-school occasions serve different purposes for both parents and administration. Before you walk down those locker-laden hallways, know why you're there and you'll get the most out of the event. The short answer to the question is that school open house is a designed for the benefit of all parents as a group, and a conference is a time for individual parents. But each school event has its own purpose as well, so it's worth talking a little bit about what the aims of the open house and the parent-teacher conferences are. For parents with fond memories of high-school romances, the open house night can be a nostalgic evening. And it's often short and sweet. Usually held right before school begins or the within the first two weeks of school, the open house is designed for parents and students to have a brief time to get acquainted with the teacher (or teachers), see the classroom and perhaps get a quick overview of class expectations and the year's curriculum. The school parent-teacher association (PTA) will often present and make appeals for new officers and talk about critical events on their calendar. This evening will be geared toward putting the school and the grade in the best light and giving parents a chance to connect faces to names of the administration and teaching staff. While it's not an appropriate time to speak to the teacher about your child's specific needs or your concerns, it is a good time to meet your child's teacher and express a desire to connect with him or her later to work together for your child's success at school. The parent teacher conference is the time to speak to the teacher about your child. Conferences are typically held after school has been in session for a few months. This gives teachers enough time to perform any routine screenings and to get to know your child and her strengths and weaknesses a little bit better. 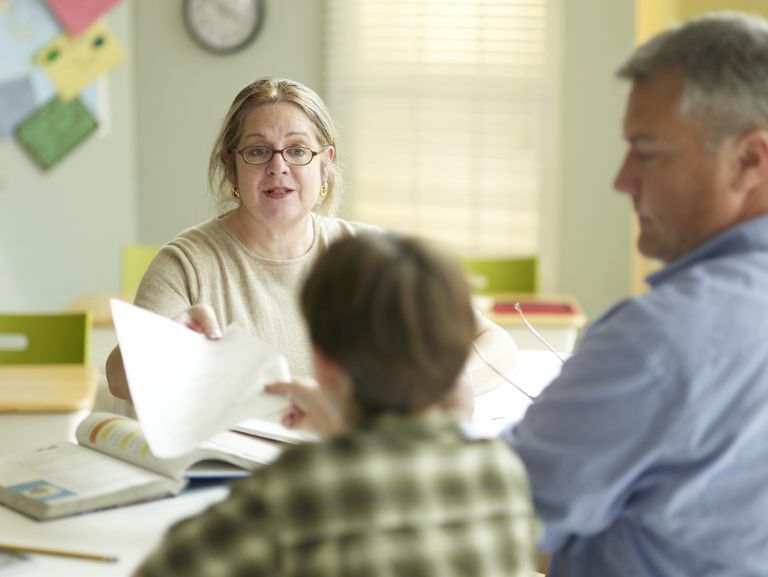 Conferences are designed to give you some one-on-one time with your child's teacher and are the perfect time to discuss concerns and/or create an action plan to help your child do her best work during the school year. A little planning goes a long way at a parent teacher conference, as the time allotted to each student may be brief. If you have a struggling student, you may wish to meet with her teacher before conferences get underway, in order to have the most productive session.